In response to residents’ concerns over trash and garbage dumped at the recycle bins located in the Swanson Pool parking lot, the City has permanently removed them. Thanks to University City Community Association (UCCA), Standley Park Recreation Council, the City’s Park and Recreation administrative staff, City Council representatives and to all University City residents who attended meetings, gave interviews and contacted City officials with their concerns. Those who contacted local officials were consistent in their support for recycling but concerned that the street-side location on Governor Drive had become a dumping ground for junk and trash. Others felt that the location of the bins enabled residents to treat the site as a dumping ground rather than to serve as a place for responsible recycling. 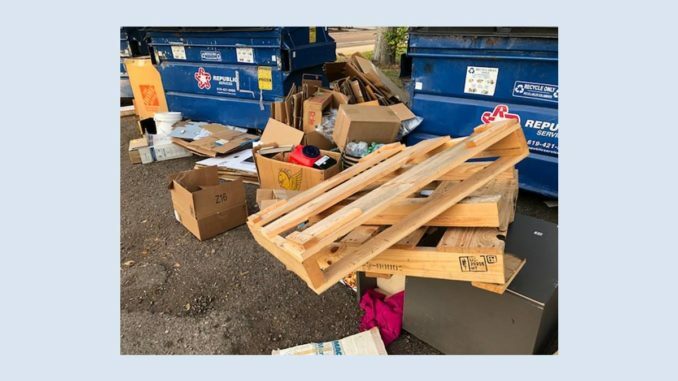 Parks and Recreation staff confirmed that Standley Park did not benefit financially from the recycling bins at the park; rather it was an expense as Recreation Center staff members had to clean up the mess left by those who disposed of their trash and their recyclables improperly. San Diego residents who are not able to participate in the curbside recycling program are able to recycle at the Miramar Recycling Center at 5165 Convoy St, San Diego, CA 92111. The Miramar Recycling Center serves as a drop-off center for recyclable materials such as large or bulky items that can be recycled but cannot go in either the black trash bin or the blue recycling bin. The Miramar Recycling Center pays a California Redemption Value (CRV) refund for all aluminum, plastic, glass and steel beverage containers for which a CRV deposit was charged. Scrap value is paid for some types of metals, newspaper and cardboard.